The juicy and scrumptious watermelon is truly one of summertime’s sweetest treats. With a name like ‘watermelon’, it’s no wonder that eating it on a hot and exhausting day leads to refreshing and hydrating our bodies. 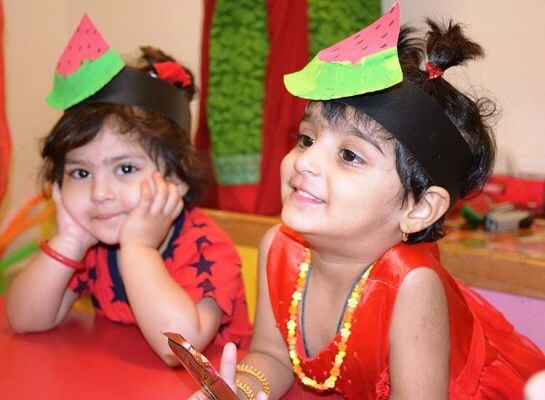 On Tuesday, April 24, 2018 we celebrated ‘Watermelon Day’ in Play Group (Pre-Primary Section) to enhance the children’s knowledge about it. They were communicated the health benefits and were made familiar with the extended vocabulary around the theme. In addition, hygienic ways to consume it were inculcated. It was also quite a sensory experience as they explored the texture, colour, seeds and taste of the fruit. 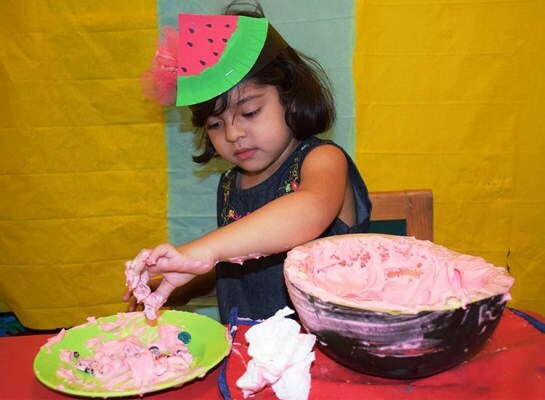 Students had to fish out watermelon seeds from shell of the watermelon which was filled with frothy foam. 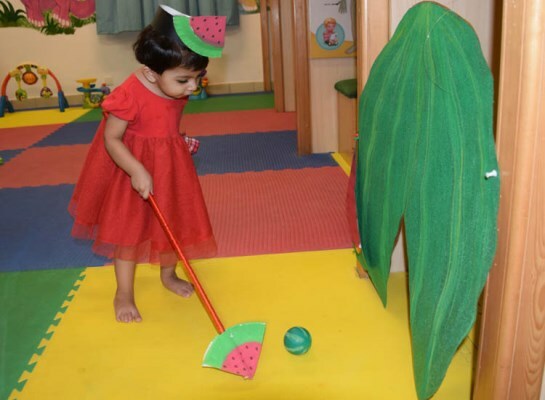 A watermelon ‘Golf Activity’ was also conducted. Finally, they all drank watermelon juice which was rejuvenating. It was all a fun filled and learning experience for the children. Even those young ones who are somewhat hesitant about tasting this energizing fruit at home, were encouraged by their fellow peers and teachers to give it a try. There is no doubt that maintaining a child’s diet in a balanced and nutritious way, is becoming more of a challenge day by day. This was a wonderful way of encouraging children to include fruits in their diet that are so essential for growth and health.